The History of War will always be about that which we know for certain, that which we have reason to believe, and that which will always be lost to myth and the passage of time. It is certain that men of war take the most inexplicable stories with them when they fall in combat. But from time to time, a story survives and persists that while unproven, would have literally altered the course of mankind were it true. Thankfully for us today, such a dubious story is intertwined with a historically proven recipient of the Victoria Cross. So let us take a journey into World War I heroism and you can decide where history ends and a drastically different alternative future begins. 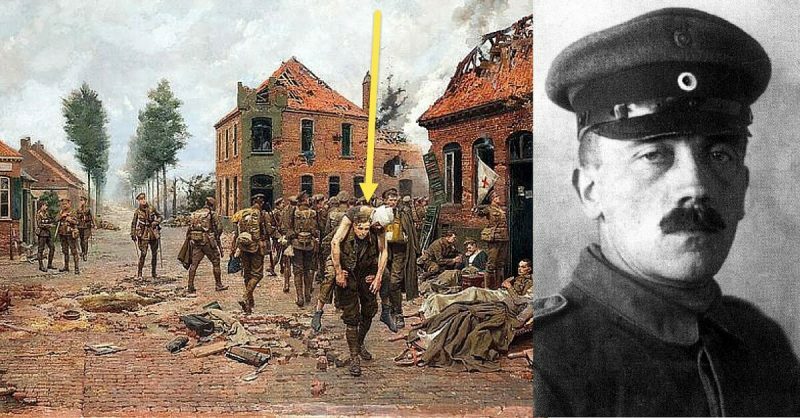 Victoria Cross recipient Henry Tandey is a legitimate hero of war and the most highly decorated British Private of the first World War. 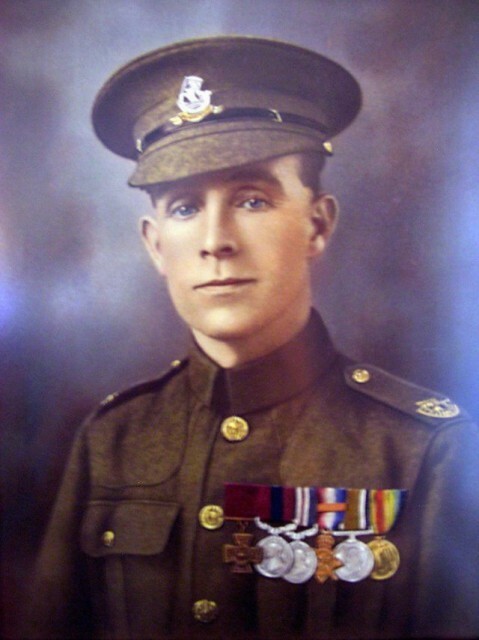 Born in 1891 and having spent some time growing up in an orphanage, Tandey would enlist in the Green Howards Regiment of the British Army in 1910. Before the outbreak of World War I, Tandey would serve in Guernsey and South Africa with the Green Howard’s 2nd Battalion. When war broke out in Europe, he would immediately find himself in the action. He participated in the Battle of Ypres in 1914 and was subsequently wounded at the Battle of the Somme in 1916. After a recovery in the hospital, we was later assigned to 3rd Battalion in May of 1917. He was later wounded yet again during the Battle of Passchendaele in November of that year before returning to duty in January of 1918. And while he undoubtedly fought honorably during the prior four years, it would seem that 1918 was the year he was marked for exceptional bravery and conspicuous gallantry. 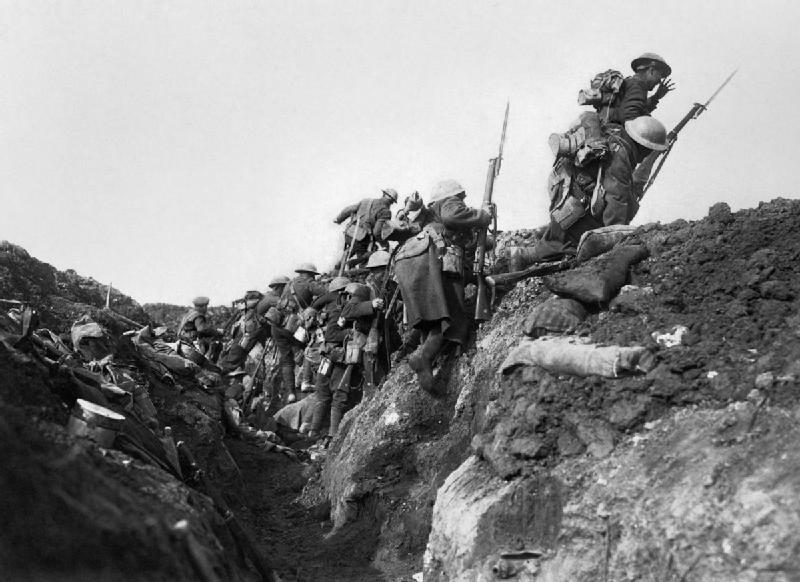 As the war entered its final months in August of 1918, he would see action at the 2nd Battle of Cambrai where he dashed across the dreaded no man’s land of World War 1 with two others to bomb a German trench. He came back with 20 German prisoners and was awarded the Distinguished Combat Medal as a result. Later in September, he participated in an attack at Havrincourt where he would once again brave heavy fire to bomb German trenches and return with more prisoners. For this action, he was awarded the Military Medal. On September 28th, he was involved in another action at a canal near Marcoing, France when his platoon began to receive heavy machine gun fire. Tandey took a Lewis gun team, crawled forward under the fire and took out the German position. Once he reached the canal, he helped restore a plank bridge under intense enemy fire. Later that night, when he and his men were surrounded by the enemy, he led a bayonet charge that freed his men and sent the enemy running into the direction of the rest of his company. For his actions that day, he was awarded the Victoria Cross and became Britain’s most decorated Private of World War 1. And were the story to stop there, it would be enough to own its place in the halls of history.